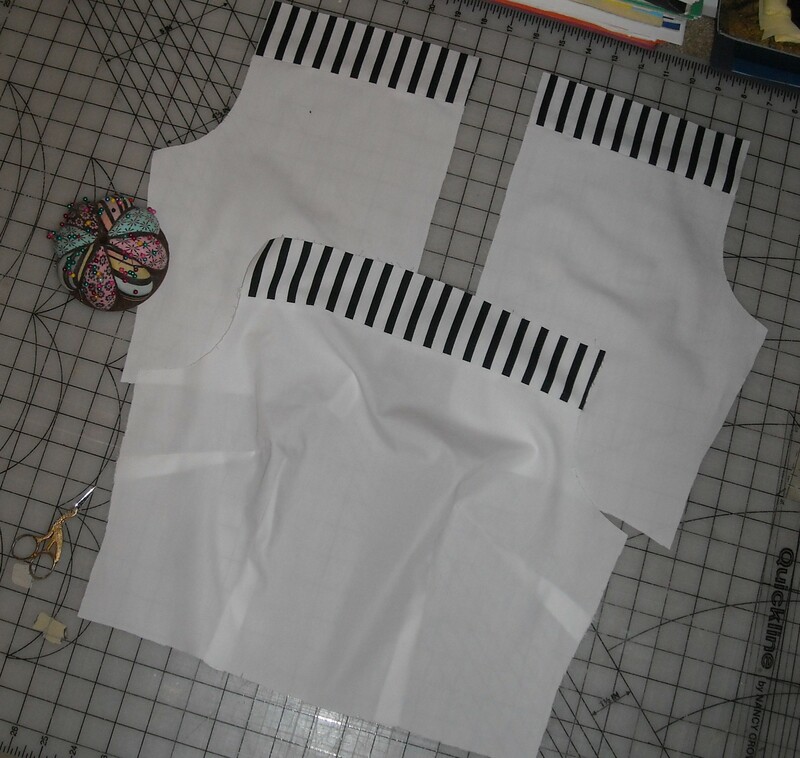 I also need to make the shoulder straps, although I decided to do that after I sewed the striped fabric along the top of the bodice so that I can match up the stripes. I was a bit worried when the fabric arrived and the stripes seemed to be further apart than in the original, but I think it’ll be ok.
Ok, that’s it for now. Hope everyone had a lovely weekend!